This chicken was everything I dreamed it would be! It was flavourful and moist, and it was so easy to prepare. I saw a similar recipe on Whole Foods Market recipes , and adjusted it slightly. 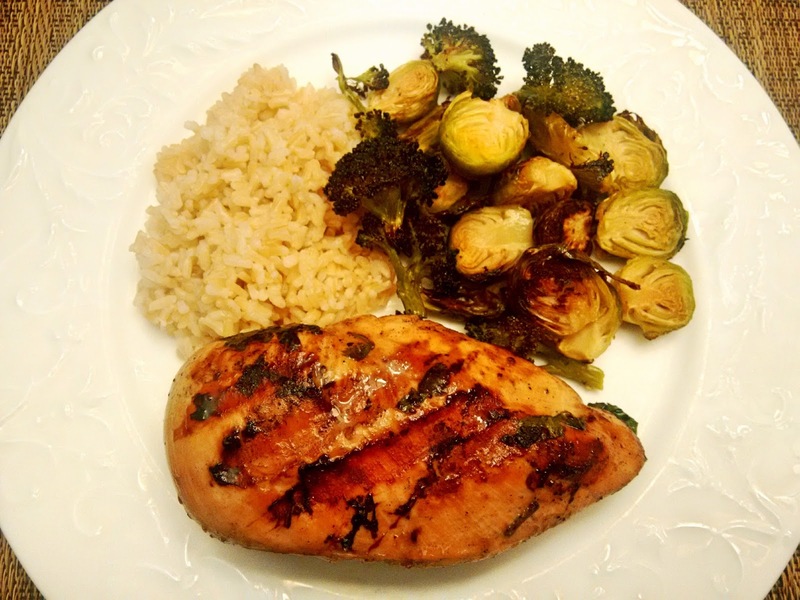 I marinated eight large chicken breasts, basted them throughout the grilling process, and still had quite a bit leftover, so this recipe makes enough marinade for ten to twelve chicken breasts. Place raw chicken breasts in a large bowl. Mix all other ingredients together and pour over top of the chicken to fully coat. Cover the bowl with plastic wrap and refrigerate for 4 to 8 hours. Grill chicken breasts, basting with excess marinade throughout.